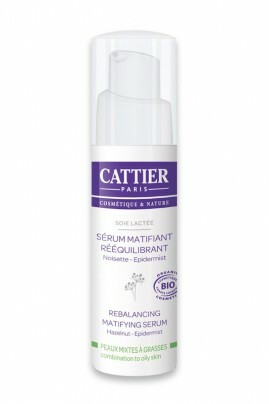 Cattier Organic Mattifying Balancing Serum mattifies and regulates sebum production of combination and oily skins. Its light-weight texture melts quickly, leaving your skin feeling silky smooth. Organic Hazelnut Oil purifies and protects the skin while the Epidermist, an active ingredients from marine micro-organism, tightens pores. Used with your usual moisturizer, Cattier Balancing Face Serum offers smooth and even complexion, your skin is soft, matte and balanced ! Un sérum agréable à utiliser mais dont je n'ai pas constaté d'effet réel sur ma peau après plusieurs semaines d'utilisation. Serum + Cream is a great combo for long-lasting matte skin ! 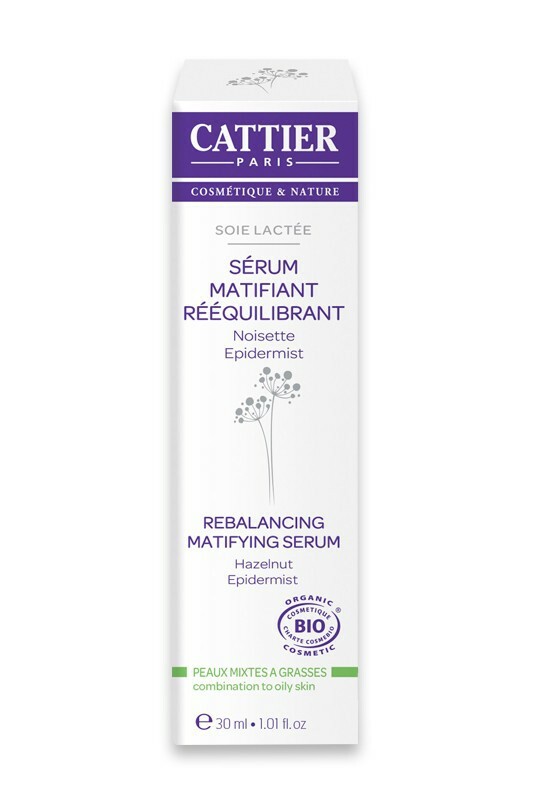 Day and night, apply CATTIER "Soie Lactée" Mattifying Serum on face, neck and decolletage previously cleansed with Micellar Lotion Ondée Merveilleuse or Face Wash Vague de Pureté. Apply then Mattifying Skincare Fleur d'émulsion.